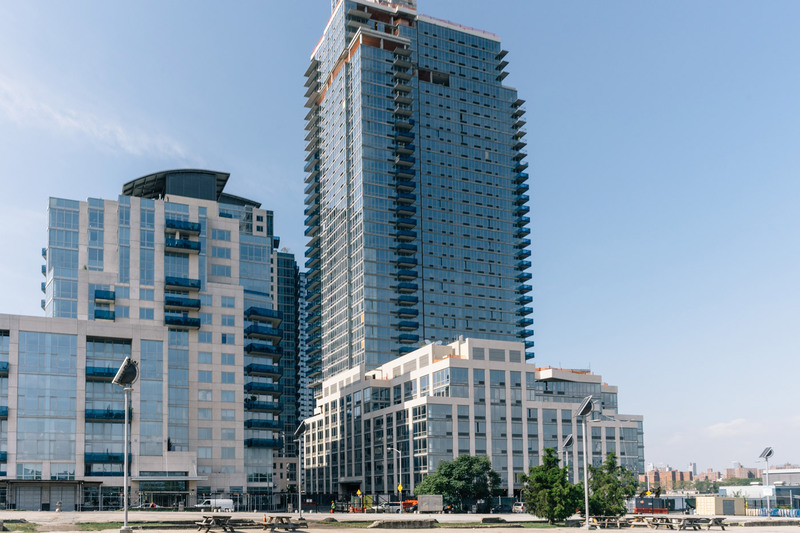 Waterfront views of Manhattan, luxury high rises, characterful properties and converted warehouses, if you're looking for a Williamsburg apartment, those are just a few of your options. Of course, those properties overlooking the East River are in high demand but worth it for those stunning views of the Manhattan skyline. The wealth of industrial spaces in the neighborhood have led to some beautiful loft conversions in factories that still boast the original freight elevators. Meanwhile, the newer apartment blocks offer beautifully finished condos with hardwood floors and vistas of the city. Down the side streets, you will find early 20th-century two-story homes that retain the character of the old neighborhood. Settled by Native Americans and then sold to the Dutch West India Company in 1638, the area was formerly known as Boswijk. With the arrival of the British in 1664, this name was anglicized to Bushwick. It wasn't until 1840 that the name Williamsburg was finally used. Throughout the 19th century, it began to attract wealthy businessmen like Charles Pratt who founded the Astral Oil Works, which would later become part of Standard Oil and the world famous Pratt Institute. German immigrant Charles Pfizer also came to Williamsburg and founded Pfizer Pharmaceutical there in 1849. The opening of the Williamsburg Bridge in 1903 opened up the community to thousands of upwardly mobile immigrants leaving the Lower East Side. Soon this influx turned Williamsburg into the most densely populated town in America. During and after WWII new immigrant populations arrived including Hasidim and Hispanics from Puerto Rico and the Dominican Republic. In the last 20 years, the neighborhood has seen an influx of young urban professionals drawn by its vibrant culture and closeness to downtown Manhattan. McCarren Park is 35 acres of activity with football, soccer, baseball, bocce, tennis, and basketball among a host of activities. The park also contains the seasonal McCarren Pool, which is a great place to cool off in the summer months. By contrast, East River State Park is a smaller, 11-acre site but still gives you views of the Williamsburg Bridge and the Manhattan skyline across the East River. On Sundays, the Brooklyn Flea Market is held here, which is a great place to pick up everything from old vinyl to silver jewelry. One of the most original museums in New York is the Reliquary Museum. Dedicated to connecting New Yorkers to the history of their city past and present, exhibits include the statue of liberty postcards, terracotta fragments of landmark buildings, subway tokens and paint chips from the L train platform. Of course, there are cinemas in the neighborhood, but a favorite is the triplex Nitehawk. It doesn't just give you a chance to see first-run films and repertory cinema; it also allows you to enjoy them with handcrafted cocktails and small plates. Brooklyn Bowl offers a thoroughly Williamsburg take on bowling. With food by Blue Ribbon, a range of beers brewed in the borough and comfy chesterfield sofas, this a great place to go with a group of friends. The independent spirit of Williamsburg can be seen in stores like Brooklyn Charm. It gives patrons a chance to design their own jewelry, helped by members of staff. There are thousands of charms and hundreds of chains with which to customize your piece. Bedford Cheese Shop works directly with farms to select cheeses that are at their peak with a small but highly knowledgeable staff that will help you choose the product that is right for you. Desert Island is a treasure trove of indie comics, art books, graphic novels, prints, and posters. Best of all, any artist can sell their comic or zine here, making for a consistently surprising inventory from around the world. 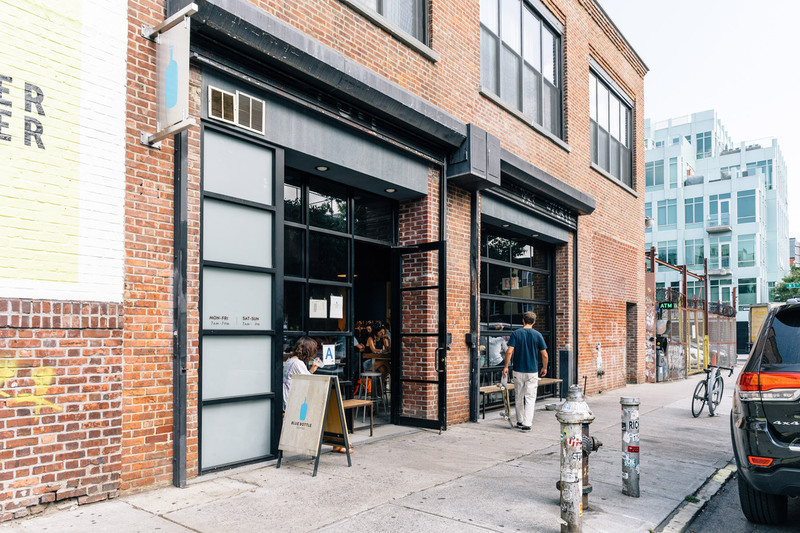 Brooklyn chocolatiers, Mast Brothers, have a flagship store in Williamsburg where you can do a tour which encompasses every single stage of the chocolate making process. Brooklyn Brewery also invites patrons to tour the factory and find out more about the beer making process before trying some of their excellent microbrews. 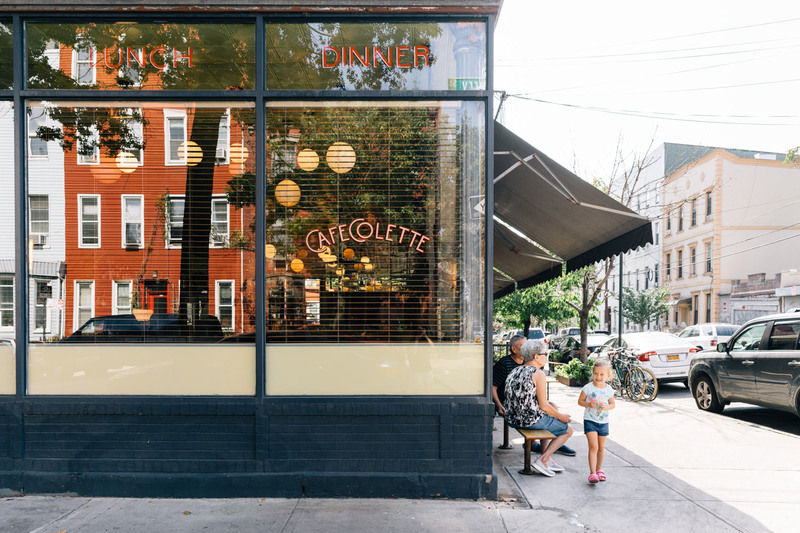 Clothing stores are well represented in Williamsburg with stores like Antoinette that offer a carefully curated selection of vintage clothing, along with the work of new and local designers. Concrete and Water is a chic boutique showcasing designer men and women's apparel from stylish, lesser-known labels as well as housewares. Finally, Brooklyn Denim Co. is a one-stop shop for all your denim needs housed in a cool industrial space. Perhaps the most famous restaurant in the neighborhood is Peter Luger. Since 1887 it's been a steakhouse icon and is constantly rated the best steakhouse in the city by Zagat's. Accompanying this old favorite are many upcoming restaurants that are gaining significant reputations. For example, in a redone auto-body shop you'll find Lilia. Here Michelin-starred Chef Missy Robbins offers the finest handcrafted pasta and wood-fired seafood paired with a well-curated wine list. There are many farm-to-table establishments in the city, but not many do it as well as Delaware and Hudson, Chef Patti Jackson's regional American restaurant. She uses her seasonal ingredients to create dishes like cheese dumplings with flowery wild mustard and green tomato pie with molasses and brown sugar to keep this small 38-seat restaurant full. Keeping on a regional theme, The Commodore serves food with a distinctly southern flavor like fried chicken and biscuits in a low-key saloon. By contrast, Llama Inn offers New York Peruvian food like ceviche and tiradito with unusual ingredients sourced directly from Peru for that added touch of authenticity. Baby's Alright is a cool, well-lit music venue with a designer food menu to match. The Asian influenced food includes Kimchi Fried Rice and Nori Spring Rolls. On weekends it does an excellent brunch featuring items like Pork Belly Benedict and Spicy Eggs with chorizo. If you order Baby's bottomless Brunch, you can have any entree with an unlimited supply of Bloody Mary, Mimosa, Greyhound and Screwdriver for 90 minutes. Probably no other borough in New York has as many cool music venues as Williamsburg. For a start, there is Music Hall of Williamsburg, a triple-tiered venue with a bar on each floor, which hosts many of the world's leading indie stars. British label Rough Trade has an outpost in the neighborhood that is both a music venue with a bar and a great place to pick up indie vinyl and CDs. Dance fans will probably prefer an evening at Output, a club based in a converted warehouse that hosts big name DJ sets throughout the year. 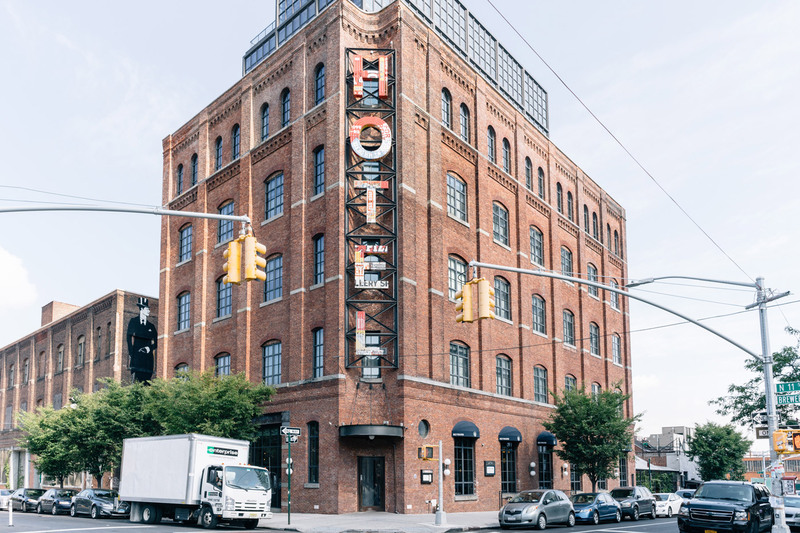 A different type of evening can be had at the contemporary Wythe Hotel. On the roof of this sleek space is The Ides Bar, which offers stunning views of the Manhattan skyline across the East River along with house cocktails, and small bites. One of the neighborhood's leading cocktail bars, Fresh Kills serves meticulously crafted drinks made with fresh ingredients, house-made syrups, and quality booze; all served in an attractive space. Last but by no means least, Maison Premiere has a trendy old-time vibe best exemplified by the barkeeps that wear three-piece suits. Known for its absinthe selection, oysters, and craft cocktails, it now offers a full dinner menu.